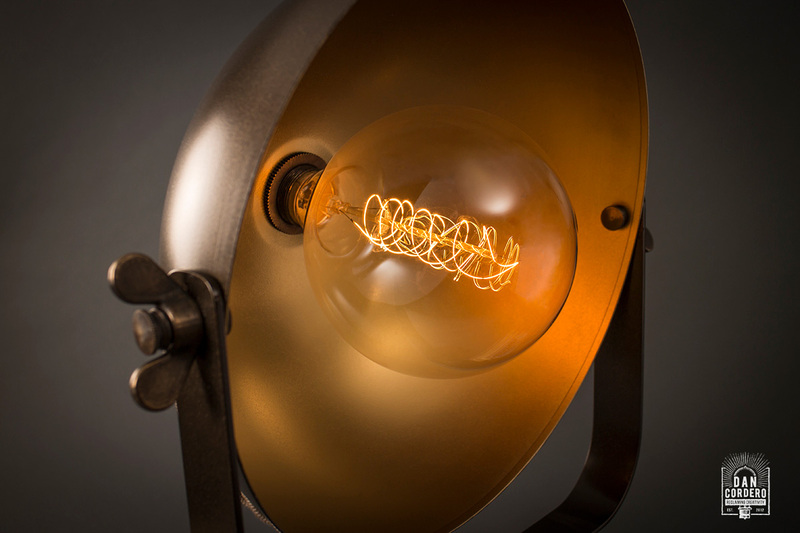 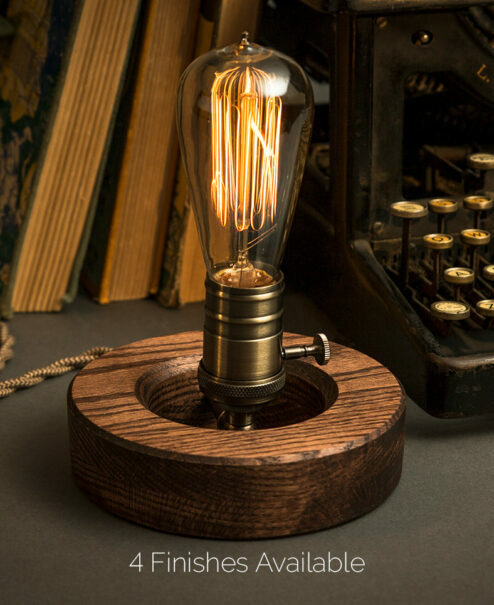 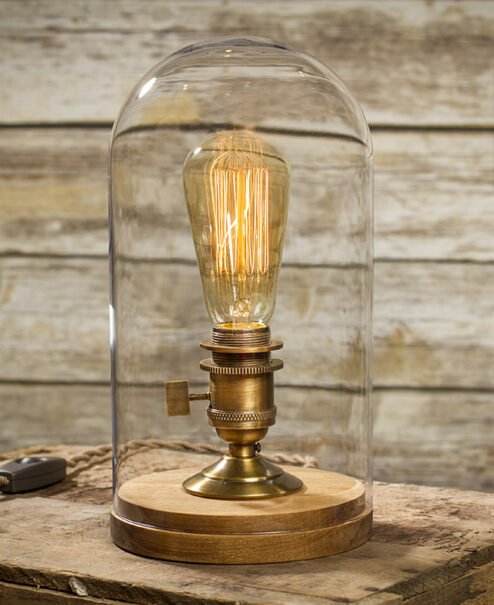 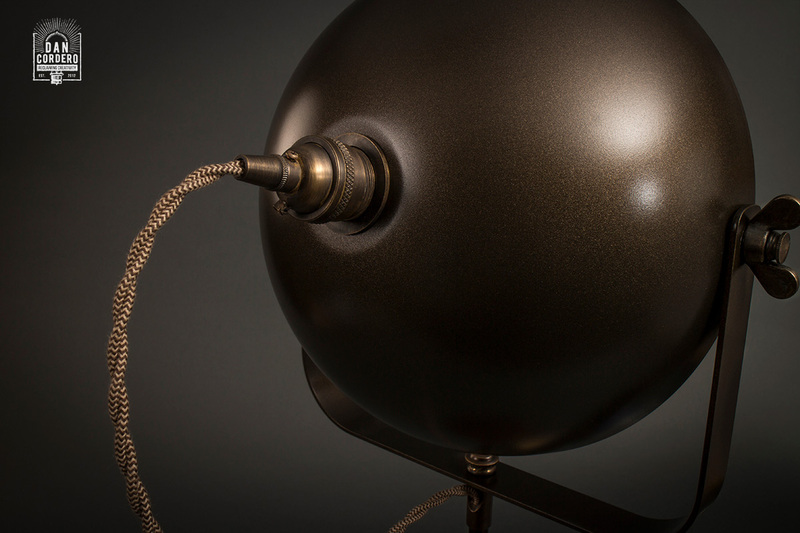 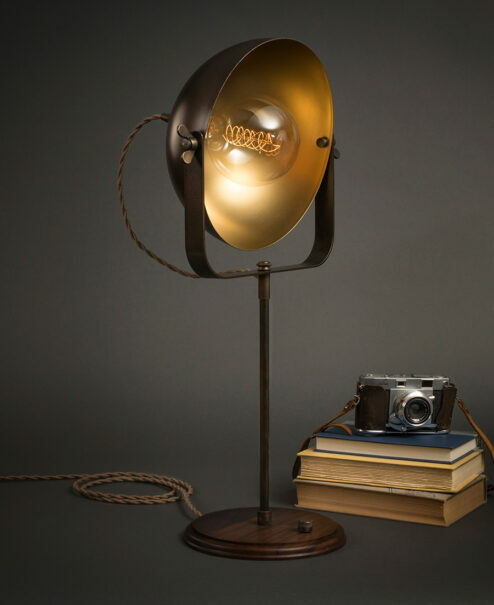 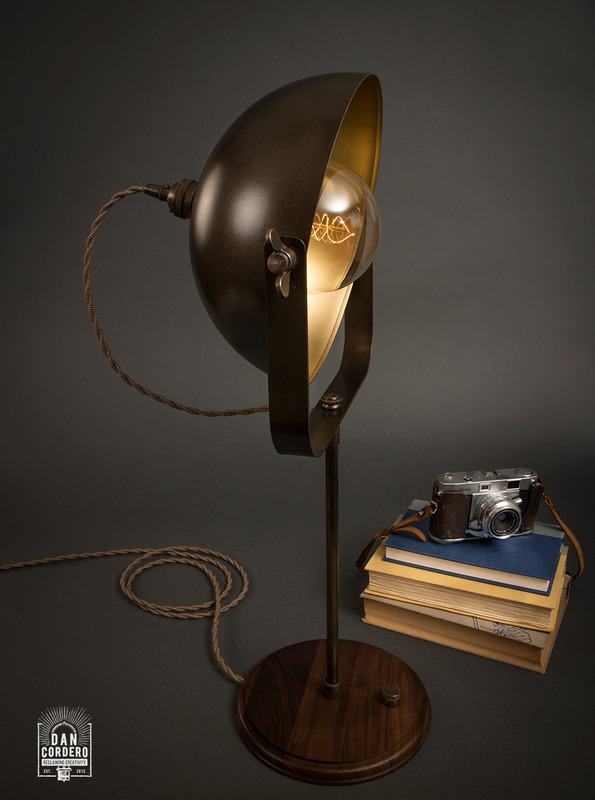 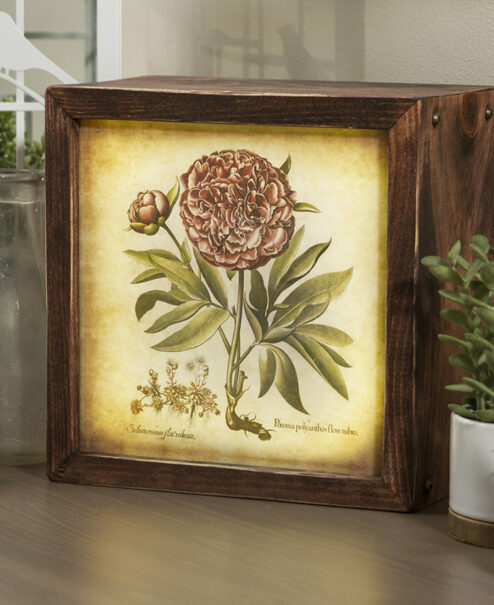 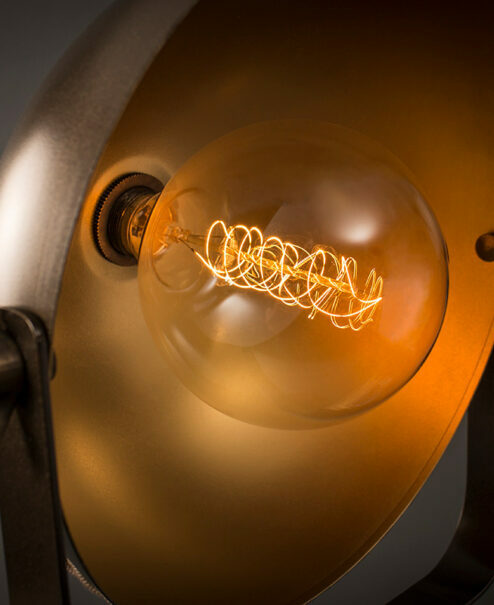 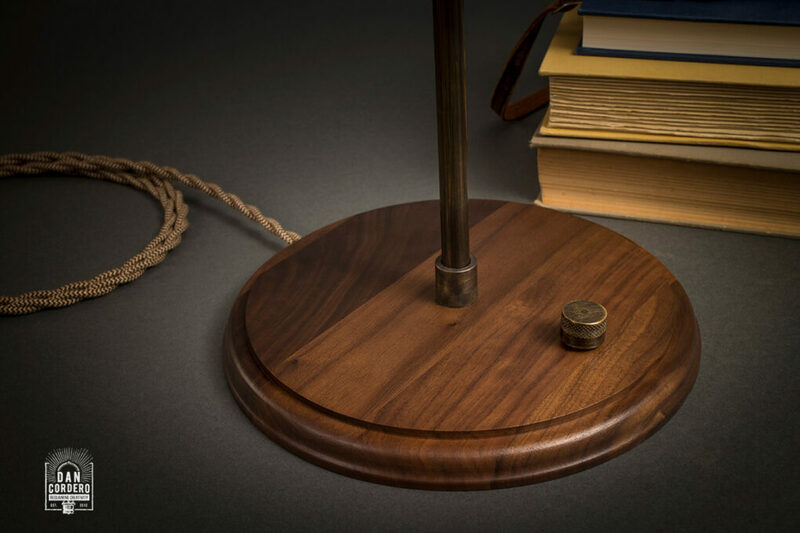 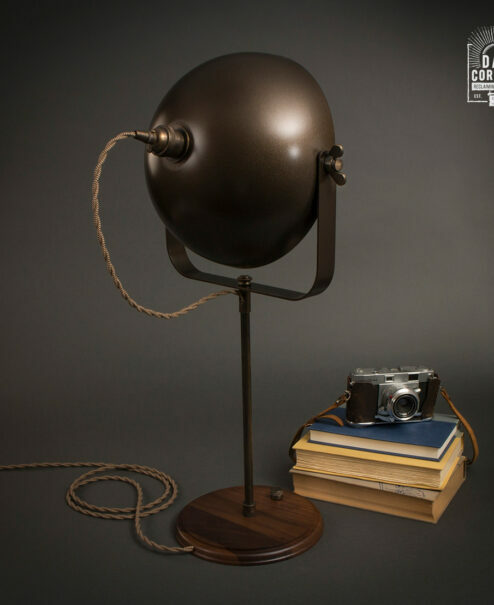 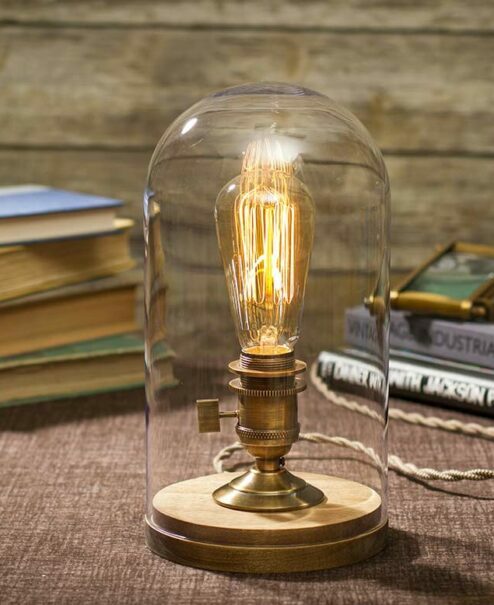 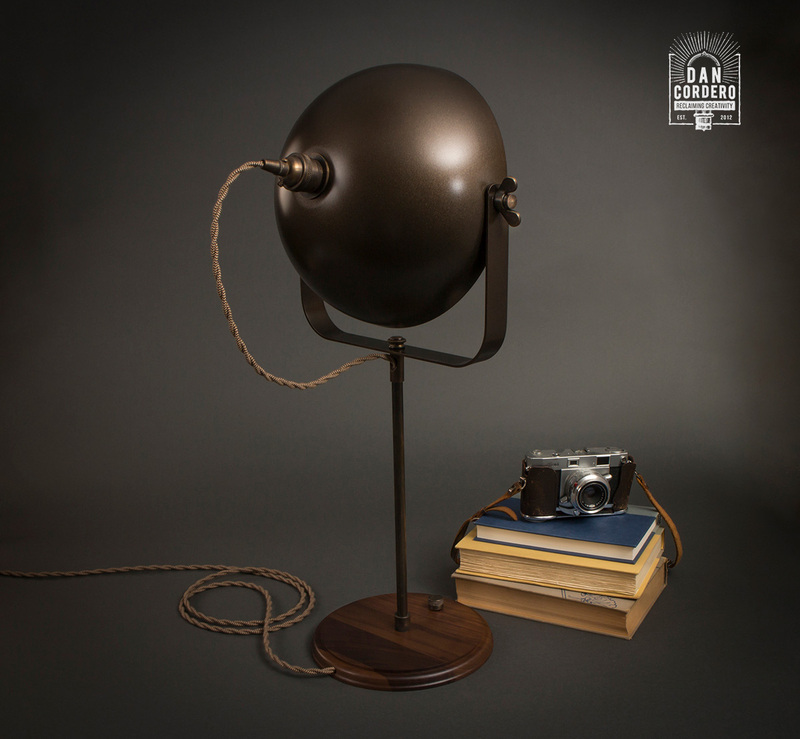 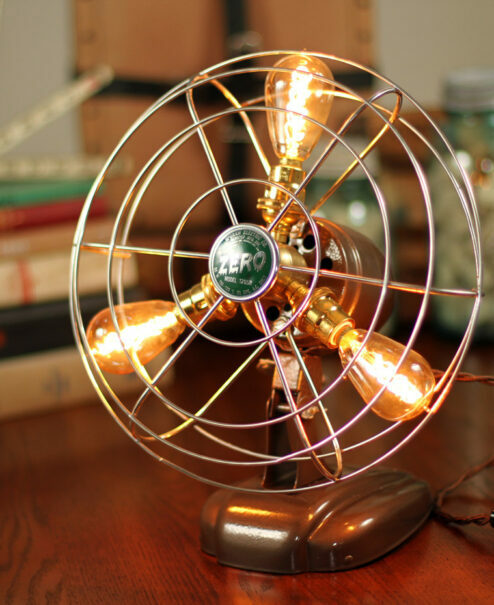 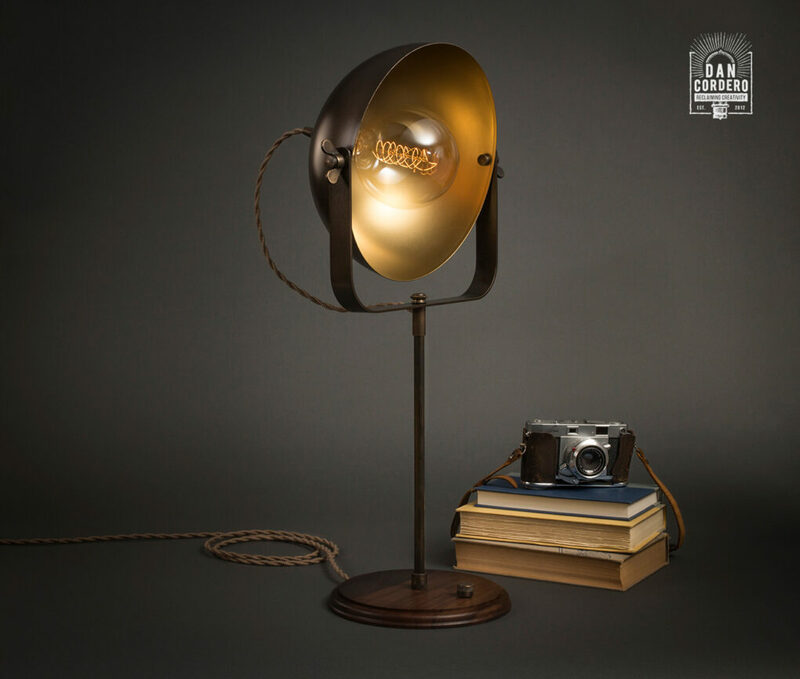 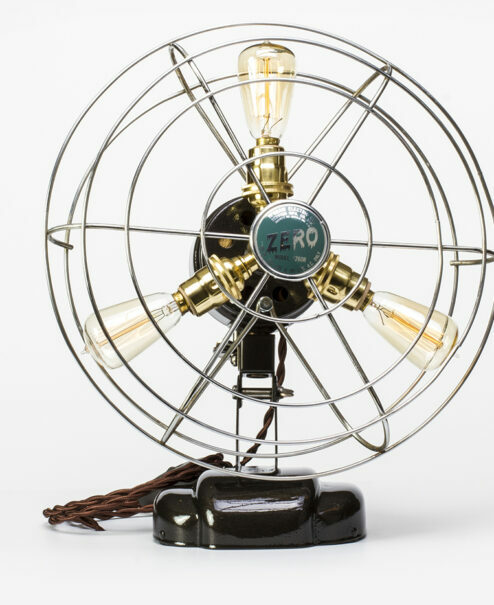 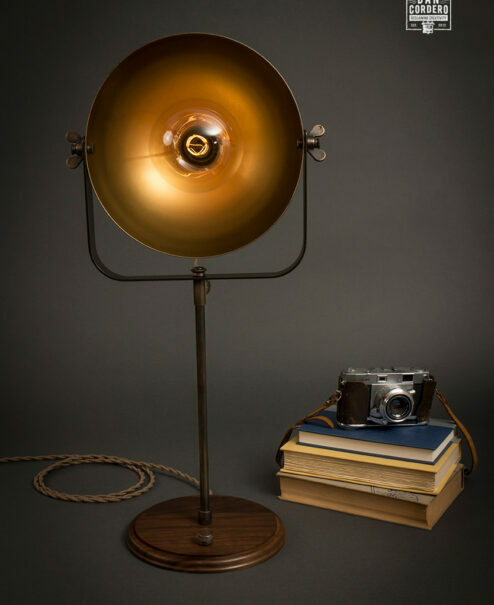 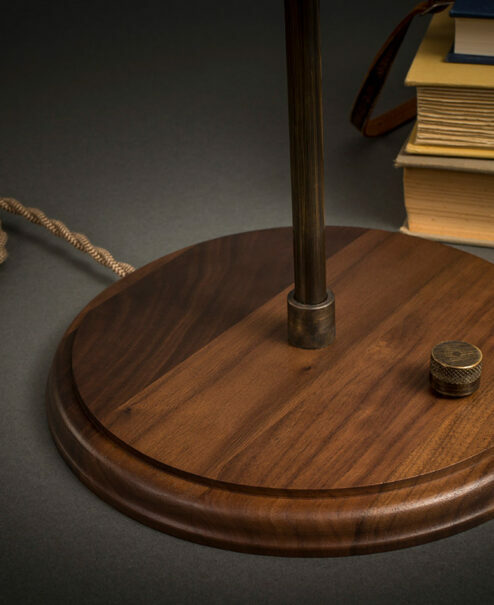 With an eclectic combination of aged brass, a rich solid walnut base and vintage braided cording, our hand-made Studio Table Lamp is inspired by the large movie industry lighting rigs of the past. 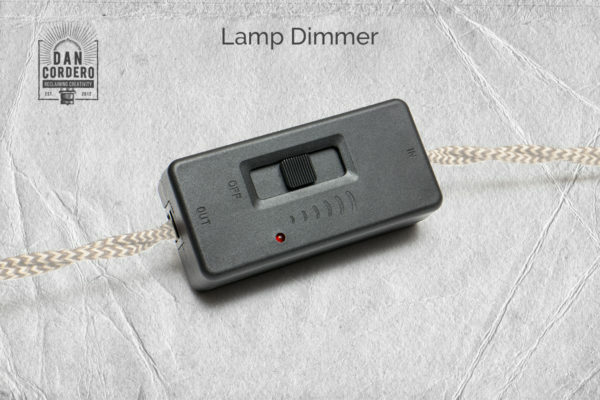 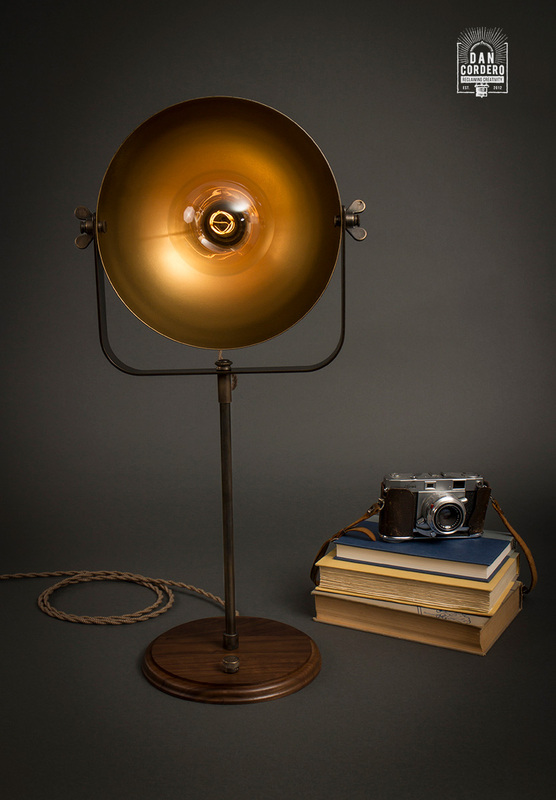 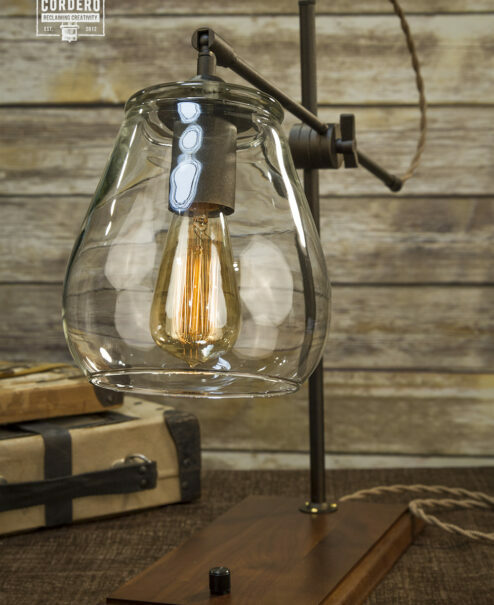 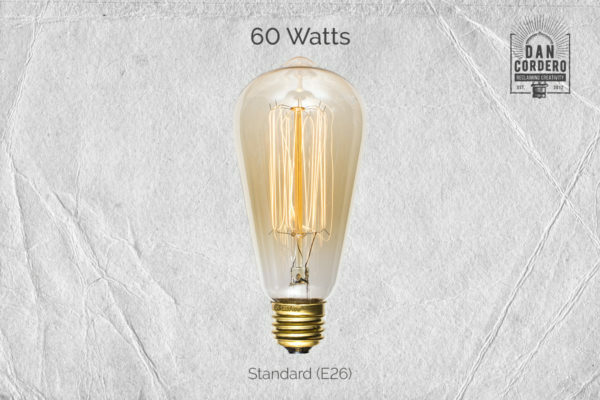 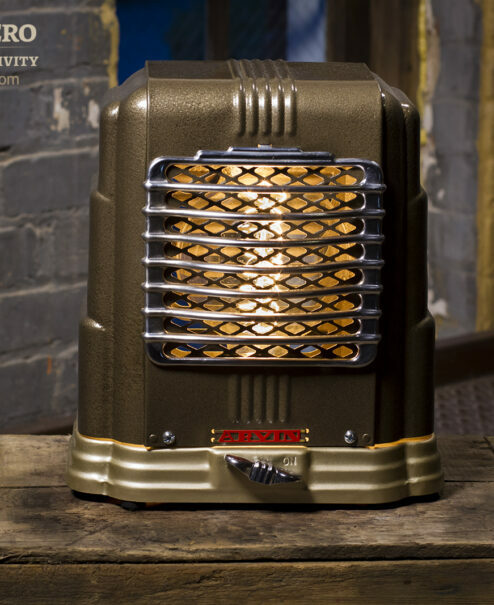 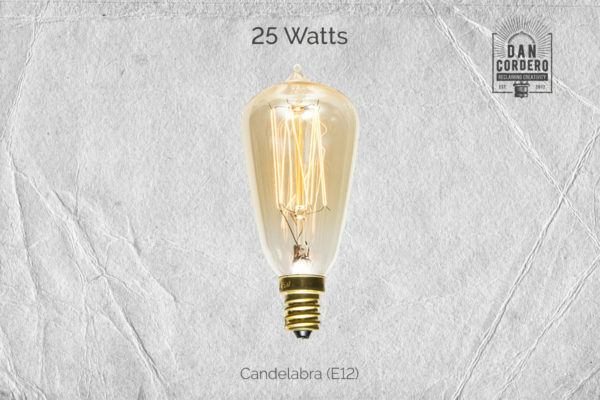 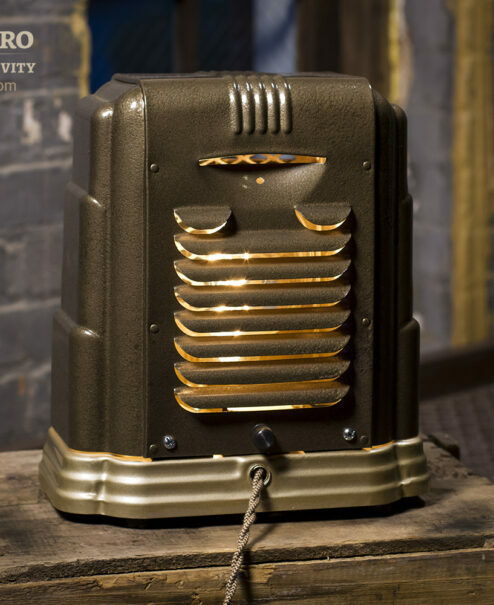 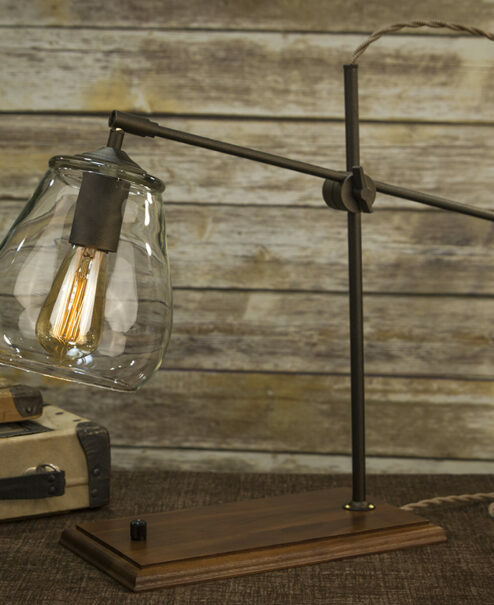 This lamp delivers contemporary industrial charm while radiating a warm sophisticated glow to any space. 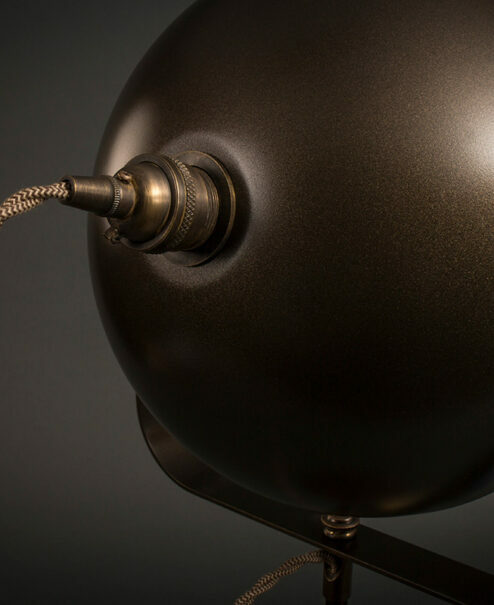 Another unique feature of the Leora Collection is a handcrafted aged brass rotary dimmer knob, which allows you to dial in to your desired mood throughout the day.